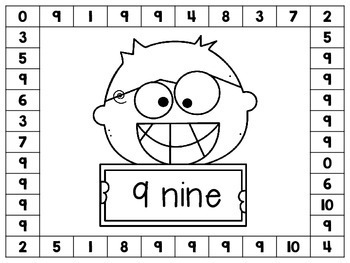 This is a set of Number Punch Sheets. 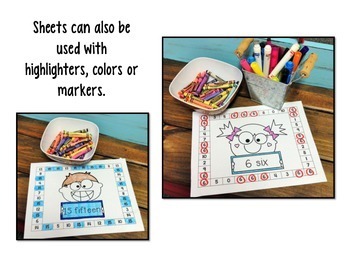 It includes a printable for numbers 0-20. 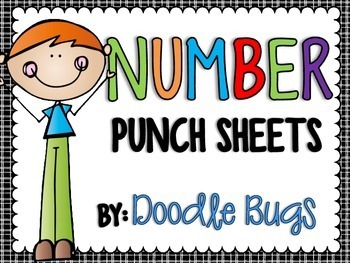 Students find the numbers and punch them with a hand held hole puncher. 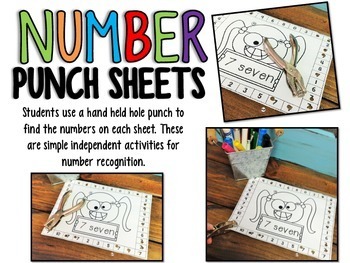 These are a great independent activity for practicing number identification.